They have just released a new YouTube video that shows an experience most anyone that travels to Hawaii needs to experience, a luau. The activity in the video is of Smiths Tropical Paradise Luau in Wailua Kauai. One client stated that "It was the best experience we had on our vacation. They had fabulous food, entertainment, drinks and probably one of the most beautiful gardens I have ever seen." This regularly scheduled luau is located close to the airport and is centrally located on the Eastern shore of the island. The video shows the many details this luau provides. Not seen in the video is the opportunity to get married in these fabulous gardens or even take a boat up the river to the famed "Fern Grotto." This is another in a series of informative videos that is being made available to the wedding and vow renewal clients of Maui'd Forever. Maui'd Forever owner Mark Steffan tells us "that my knowledge of the Hawaiian Islands can be a great guide to clients seeking advice on what they should do while on Kauai. I just need to know who they are what they like to do and of course what they are capable of doing". These agents have experienced many of the activities personally. 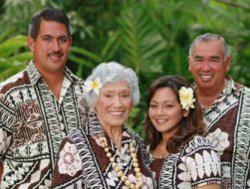 Maui'd Forever suggests to their wedding and vow renewal clients that they preview the activities they think they might enjoy with links to YouTube videos or the profiles with pictures on their website. This expert advice is one of the reasons why Maui'd Forever selected Barefoot. Most of the activities they provide are done so at a discount. So with the ability to reserve most any activity on any island at a discount with expert advice was what swayed Maui’d Forever to work exclusively with Barefoot. The clients are given a discount code (#1659) which they use when they speak to their agent. The discounts are already calculated into online sales for those that want to self book on the website.